Does your plan address the family wealth question? As a parent or grandparent, family is central to some of the biggest questions you have about your wealth – you want to know that your family will be ok, not only in case something happens to you, but in the long run, once they take on the full responsibility of the family legacy. But there is often a gap when it comes to planning. Questions about the longevity of family wealth and the readiness of the rising generation are difficult to answer through conventional approaches to wealth management. They require an additional level of expertise. Over the course of many years working with families in Orillia and the surrounding area, we’ve built this additional capability into our team and our process. The result is a specialized, exclusive program designed to help you create long-term financial stability that extends to the rising generation and beyond. Our program is built around the needs of couples, their legacies and the rising generation. We work to help you balance the day-to-day requirements of your wealth with the long-term priorities of your family and legacy. *As of August 3, 2018. Unique experiences and past performances do not guarantee future results. Testimonials contained herein are unsolicited and may not be representative of the views of others. They have been reviewed and approved in writing for public use. Passing wealth to the next generation efficiently is a challenge in its own right, but just as complex is the challenge of passing down everything that helped you build your wealth – the prudence, values and overall financial awareness. It’s our belief that both of these challenges need to be overcome in order to create a lasting legacy. Through our family-oriented process, we’re able to provide the rising generation with not only personal guidance and education, but also tangible financial tools designed for youth and young adults. In this way, we take a whole family approach to building and supporting your intergenerational legacy. *As of August 4, 2018. Unique experiences and past performances do not guarantee future results. Testimonials contained herein are unsolicited and may not be representative of the views of others. They have been reviewed and approved in writing for public use. We work with a select group of families to ensure we provide each with ample attention and the full benefit of our family-oriented process. You’re given a checklist to help collect the documents we’ll need to to develop a complete family wealth plan. This includes wills, insurance information and tax returns. Our priority is to present complex concepts in simple ways. We present and review your Investment Policy Statement, wealth planning projections and next steps. As part of the process of designing your estate plan, we also provide a unique document that simplifies and clarifies the eventual transfer of wealth to your beneficiaries. During the first year, we host quarterly meetings to coordinate with specialists, implement recommended strategies and review your portfolio. After the first year, we host semi-annual review meetings with additional meetings as required based on major life events. On an ongoing basis, we make available a range of family-oriented resources, including working with your children or grandchildren to help them gain financial awareness. *As of August 1, 2018. Unique experiences and past performances do not guarantee future results. Testimonials contained herein are unsolicited and may not be representative of the views of others. They have been reviewed and approved in writing for public use. Contact us at the number below for a brief assessment of your family wealth strategies to help identify how well your legacy is likely to withstand the leading causes of erosion of wealth, such as tax, lifestyle change, unforeseen costs or inefficient intergenerational transfer. Lakeland Family Office is a part of TD Wealth Private Investment Advice, a division of TD Waterhouse Canada Inc. which is a subsidiary of The Toronto-Dominion Bank. 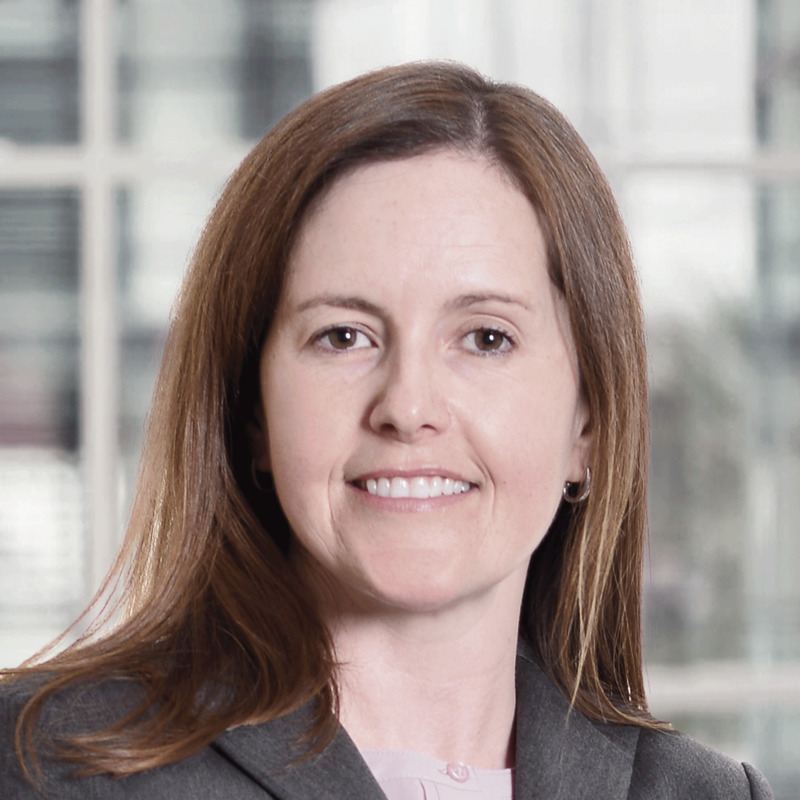 Melanie Smith joined TD Wealth Private Investment Advice in 2005, and is now a Vice President, Portfolio Manager and Investment Advisor. As Founder of Lakeland Family Office, her focus is to work with couples and families to help meet personal financial goals, protect family wealth and establish lasting multi-generational legacies. After earning her Bachelor of Applied Science in Electrical Engineering, Melanie spent 10 years in process engineering and management at a global manufacturing company, occupying progressively senior roles in both engineering and management. In 2003, she completed her Executive MBA while working in management. In 2005, she moved to Barrie to be close to her family, and it was at this time that she also began applying her analytical mindset and lifelong-learner mentality to the field of wealth management. Melanie has attained some of the most highly respected designations available in the industry, and this academic foundation, along with her family-office resources and unique planning process, allow her to deliver highly personalized and comprehensive wealth services for her clients. She and her team have built a wealth management program around the needs of couples, their legacies and the rising generation. After earning his commerce degree, Darren spent the first few years working in various finance roles at a global investment firm in Toronto. In 2006, he moved to TD Asset Management and worked for 11 years with the external broker/dealer network servicing financial advisors on behalf of TD Mutual Funds. Darren has an enormous depth of knowledge of the mutual funds industry and the investment markets. As well, his institutional exposure brings the group deeper analysis of the make-up and drive behind the markets and the forces influencing clients’ portfolios. Born and raised in the Orillia area, Darren is very happy to return to his hometown with his expanding family to fulfill his dream of giving back to the community that has helped him through the years. His parents ran a small business in town for over 40 years and also have close ties to the area. When Darren isn't at the office, he spends time with his family on Georgian Bay enjoying the many outdoor activities the region has to offer. He is an avid traveler who has visited over 70 countries worldwide.